Vintage filigree diamond brooch encrusted with sapphire blue and AB Swarovski crystals on an antique silver frame and fastens with a flag pin and revolver clasp. Size: 4 x 4 cms. 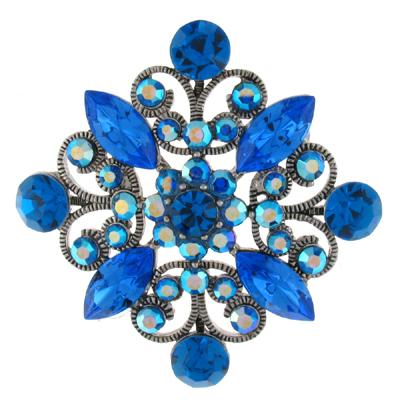 This stunning vintage brooch is sure to get you noticed.